– I could live out there. With a coffee, a book, and a blanket, one could be lost for days. It’s surrounded by trees;the sun peeks through the forest at sunset. I mock the mosquitoes as they attempt to invade. A doe and fawn occasionally stop by. Along with the spacious house has also come people. Family come to visit for a few days. Friends share dinner. Some of the younger people that work at the camp where we also live and work come by to borrow the much faster, dependable Wi-Fi or use the laundry facilities. As much as I am an introvert, I have found myself refreshed by the time spent with people. Living in a small space made it difficult to accommodate guests. I didn’t realize it but apparently I missed them. Gather eight girls ages 18-26 around your table on a weekly basis to drink coffee, share coveted snacks and study the Bible and you won’t come away wishing you weren’t included. These girls come from as close-by as Toronto to as far away as Australia. I’ve learned that Australians don’t have nacho cheese, there exists a genre of music labelled EDM and “no one” is on Twitter any longer. I’ve been reminded how it feels to have your whole life ahead of you and be confident in your words and convictions. The comforts of home effortlessly give way to easy conversation. A couch is not a couch but a soft landing spot when a friend is spiraling downward. A spare bed in a quiet room becomes a refuge in times of busyness and noise. A kitchen table becomes a place to share meals, words, belly laughs, games, ridiculous YouTube videos, homework, and on and on. Washing dishes left behind by guests, my heart feels full. I may not have a degree in theology but it has become clear that my purpose is be Jesus, to be the Church, when the hurting, the lost and the wanderers come knocking. To have others feel at home when they are away from home. To be that safe place where agenda is left behind and false pretenses are unnecessary.There are no expectations on either side except to come as you are. After all, I have been blessed with space, food and fully-working laundry appliances – how can I not share them all? As I was typing this, sitting out in the Muskoka room of course, someone came in to use the Wi-Fi. We chatted and then both continued working on our laptops while the birds filled the silence with song. Sometimes words aren’t necessary; just a comfy chair and warm cup of java. “It turns out that I am terrible at converting people the old-fashioned way, with logic and reasoning and concise tactics and tracts, poignant sermons. Instead, I have the much less interesting spiritual gift of showing up and sitting on couches, of doggedly arriving, gamely prepared to help in whatever crisis of the day, and eventually fading into a background player in a story that was turning out to be much bigger than me.”-D.L. Mayfield in her new book Assimilate or Go Home, which I am aptly about to begin reading out in the Muskoka room. While I will treasure the memories made while living small, I’ve fallen in love with having a long table that extends an invitation to many. Finally, home. For the last ten months, my family of five has been living in a space the size of our old living room. If you have been around The Meeting House for some time, you may have heard a message or two around living simply, giving generously, and community life. Living in a neighbourly way locally and globally has resonated with our family and our desire to live and work in places and ways that impact the Kingdom has consistently grown during our time at The Meeting House. Four years ago my husband and I made the jump from well paying jobs in the Hamilton steel industry to not-so-well paying, but incredibly fulfilling jobs in the non-profit sector. It was the best decision we ever made. I took a deep breath, swallowed the lump in my throat and had to look away from the gleeful group. Gratitude welled up within me, overwhelming me. How did I end up here, I wondered? In that moment I remembered that I had prayed and cried and fought to end up here. Here just wasn’t what I had thought it would look like. Up until a few years ago, my career was in the steel industry (think car manufacturing and the metal your fridge and stove are made of). Being from Hamilton (otherwise known as Steeltown) with many family members in the same industry, it made sense. I liked my job and was making good money along with having full time use of a company car. As I emerged from a cloud of mental health issues and an eating disorder, I found myself back in church and eager to learn, grow and serve. My heart was being called to serve people in need and my full time job slowly became unsatisfactory. It almost felt disobedient. I struggled through the push and pull of calling, vocation, ministry and what all of that could look like for a family with four kids. I was saying yes to God. Except he hadn’t quite asked yet. I searched career websites, ministry websites, non-profit websites – anywhere that might hold the hope of our future. A good friend of ours leads Live Different, a non-profit that gives youth empowerment presentations in high schools and hosts humanitarian trips. A position in Mexico opened up and seemed like a dream job. My husband and I went to Mexico to check things out and I was sold. I desperately wanted to help North American people become aware of their own privilege and to be a bridge as they came to Mexico to build homes and relationships with the local people on the margins. My husband was not on board and didn’t feel God calling us there. I thought he was wrong and I was mad as hell. I prayed. I showed him scripture that absolutely *proved* to me that we should be packing up and heading south. I cried into my scrambled eggs at a breakfast restaurant, begging him to see how I was right and he was wrong. We still turned down the job. A year later we packed our family of six into our minivan on a cold and bleak January day to drive across the country and explore the possibilities at a camp. There were two positions available in a beautiful setting at the base of the Rocky Mountains and it seemed like a good fit for both my husband and I. During our interview the Camp Director asked us – why here? Why not…. this camp, here – and he pointed to a spot on a map, closer to home, in central Ontario, Canada. Neither of us had a good answer. Still, I was excited about the potential, but this time had my wits (somewhat) about me. When I called the Camp Director after arriving home we both agreed that everything seemed like a great fit except neither of us felt it was what God wanted. I was disappointed by felt I was being obedient to God’s leading. By this time, my husband was growing weary. Every week I was coming home suggestions on where we should be going. Costa Rica? Mozambique? Thailand? He finally told me no more. He was also having some health issues that were affecting his ability to work. He has a disability that, in years past, he always pushed through but it had begun to take a toll on his body and his mind. He was re-evaluating priorities and life goals. A few months later he told me he wanted to move north to cottage country. I have a bit of spoiled brat in my make-up (it’s a work in progress). I told him it wasn’t fair that he turned down all my ideas and convinced me to stop the pursuit of far away places only to then turn around and suggest we may be called somewhere that just happened to be his favorite place on earth. In the end, I reluctantly said yes. I was still apprehensive. It was not a clear and confident “yes” for me. I had to stay behind in the city to work while the rest of my family moved north. I was still searching for purpose in my work and finding it where I was now settled – the middle of nowhere – seemed impossible. A position came open at a camp nearby. It was a bit of a hike to get there from our house but I was desperate to be back with my family full-time. As I write this, looking back it seems so obvious, but at the time I was frustrated, scared and still a little mad that I didn’t get what I want. As you might imagine, I did get the job. And it is at, of course, the exact camp pointed out by the Camp Director in Alberta only the previous year. Coincidentally (or not so much), my husband landed a job at the same camp. Almost three years later, he is thriving. He loves his job, the camp and most of all, has found a calling in pouring into the lives of the younger staff that work alongside him. He has started a Bible study, he is playing sports and he is happy. See? See what I did? You didn’t want to be here and look how I have given you what you asked for. Last night we had dinner with the staff at camp. There was the usual joking and bantering happening. My kids were not throwing food or fighting (for once). My two young boys were solving math problems on the whiteboard in the dining hall afterwards and some of the staff joined in. My kids were laughing and having fun. As I watched it unfold, this is when I started to tear up. This IS what I wanted. It isn’t where or how or what I thought it would be which is why I can only say that it was God’s plan all along. He patiently waited for me to drop my agendas and suggestions and pleading long enough so that I would take His hand and gently let him lead. Do you have those markers by which you can measure growth in your life? Places and times you end up in again and again that allow a comparison with events past? Yearly holidays are one of the times I can clearly mark growth – last year my son couldn’t ride the snowboard during the Christmas Break, my daughter couldn’t jump serve in volleyball and my (link) grandson was barely aware that he was being dressed up in silly elf outfits. I know, we are all *reflective* and *contemplative* this time of year. At least, I am. Well, I always am, but this time of year it ramps up to a ridiculously high degree. This year is in high contrast to last December. This time last year I was holding my breath until 12:00 am on the 1st of January. 2014 was the year that everything changed for me. We experienced a fire in our home, had to find somewhere else to move our family of six and learned we were going to be grandparents all before the winter snow melted. By the time our grandson was born in November, I was weary. Worn out and wondering how I was going to put myself back together again when the pieces of my life seemed strewn about not caring that I felt lost without them. I hated being asked “how are you` because I am terrible at pretending everything is ok. I am one of those annoying people that is unable to reply with a meaningless “I’m fine`, how are you` because I don’t understand the point of doing the dance of small talk. It’s perfectly acceptable to admit you aren’t sure you can make it through. It may feel like failure to admit that. It’s not. Say it out loud. It’s really the beginning of working your way through the muck and mire of whatever you are enduring. I had people in my life that let me be weary. I was able to work through my anger, sadness and unknowingness at my own pace. I vented, I swore and I wept.. And people let me. I didn’t like hearing “everything will work itself out” back then. It didn’t really help, other than to let me know this was going to be a tough go and at some point, no one knew when, things will start to ease up. It didn’t help in the immediate. Now, in December of 2015, I have hope. I am far enough removed from the fresh pain that I can see the ways in which 2014 stretched my resolve, grew my character and challenged me to live what I say I believe. If you are in the middle of a mess right now, if you are are weary, please know it’s a perfectly normal place to be. Hearing “it will be okay” may not help but curling up with a good book or having coffee with a friend who listens well and says little may. A burden shared is more easily carried. If you are in a pretty good place right now, know that there is most surely others around you that could use that listening ear and a shoulder to cry on. You don’t need to have the right words of advice or encouragement, in fact, it would most likely be better if you didn’t have any words at all. Mom I’m Pregnant – Guest Post over on the MudRoom blog! I am so honoured to be writing over on the The Mudroom Blog today!! In honour of the new school year about to begin, let’s talk about books. How did your kids do this summer on the recommended 20 minutes of reading per day? I don’t know about other families but my boys summer reading can be totaled up in two occasions of the recommended 20 minutes, having them rhyme off the closed captioning from the current Switched at Birth episode we are on and my quizzing them on drive thru menus. I’m slightly disappointed in myself because I love books. Can you remember who opened the door to the reading world for you? 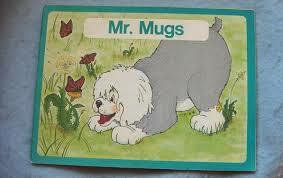 For me, it was Mr Mugs. My mom kept a series of books at a level that was easy to reach when I was small. 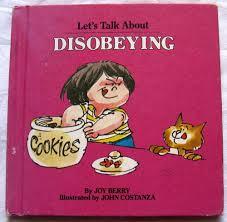 She would consult a certain title or read one aloud, usually when one of us kids were in trouble. 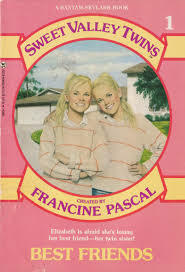 The Let’s Talk About series by Joy Berry included titles such as Let’s Talk about Lying and Let’s Talk About Teasing. The first half of the book always presented a misbehaving child – AKA how I shouldn’t act. These were my favourite parts and many times I found it pretty hilarious. Of course, the second half of the book explained why children shouldn’t act in such a way and a demonstrated the reformed child winning the praises of his/her family. I was usually bored by that half of the book. For some reason though, as part of paying penance for a misdeed, I always consulted these books, as if they could teach me to behave properly the next time around. If only it was that easy!! In first or second grade I went through testing for the gifted program. For one of the tasks, I was provided a picture book, a tape recorder and a blank cassette (now I seem old). I was supposed to create a story to accompany the illustrations in the book. All I remember is a dinosaur on a teeter-totter – and it stumped me. I basically dictated the exact details of each picture on the page and that was all I could manage. Obviously I wasn’t accepted to the program. How the heck I ended up writing after all these years is beyond me. The Wonderful Way That Babies Are Made. This book changed my life. I now knew things I hadn’t known before and wasn’t sure I had wanted to know in the first place. My mother read it to me. Bless her. In fifth grade a small group of students was given the opportunity to learn about books and story writing. (Now that I look back, we were probably all gifted program failures). We were tasked with reading a few books to prompt our creativity and then coming up with our own story. Similar to the dinosaur book, I wasn’t all that creative….. It was basically a forgery. “Charlie (I might have borrowed the name from Roald Dahl) and The Magic Shoes”. It involved magic beans as well. We also illustrated the book (art is apparently not my forte either). The awesome part was that we learned how to manufacture a book – from the cover to the spine to the plastic sleeve. I remember loving the smell. Predictably, as a young teeny bopper in the late 80’s, Jessica and Elizabeth Wakefield were my constant companions through middle school. I was convinced I was an Elizabeth but longed to be a Jessica. When Elizabeth broke up with her long-term boyfriend, Todd, I was devastated. Any bully in my real life days earned the nickname Lila Fowler. In writing this piece, I racked my brain for a book that represented high school or impacted me through those formative years – I can think of ummmm…. none. Through 5 years of Shakespeare and numerous book reports, not a single one stands out as meaningful. Isn’t that terrible? I discovered CNN in those years and developed a tiny obsession that still lingers to this day. When I became pregnant at 18 years old I, of course, turned to my trusted sidekick – books. I had no other resources; most of my friends were preparing for university and the internet was in it’s infancy. Thank the Lord for What to Expect When Expecting. I marked the days on my calendar to remind me when to read up on the next month and what was happening with my body and my baby in those very weeks. Sometimes I read ahead but I remember feeling cheated once the actual day came around to read the next month. I think I read the chapters on labour at least forty-five times. I tried to burn the words and photos into my memory for quick reference when the time came. Of course, four kids later I know that all that goes out the window when the real thing happens but back then knowledge and planning were my comfort and security. Again, four kids later – what the heck is planning? As a new mom, What to Expect the First Year was my bible. If the book said to feed my baby every three hours, I fed my baby every three hours to. the. minute. My mom would be holding a crying, hungry baby girl and I would watch the clock on the microwave. “She can’t be fed yet, it’s only 6:59 pm! It has to be three hours between feeding!”. The book told me to start feeding solid at 4 months so 4 months to the day of her birth, I started feeding rice cereal to my daughter. I introduced solid foods in the exact order suggested. I did whatever the book told me to do and lo and behold, my daughter and I survived and thrived (and my parents were probably going crazy). Shortly before my daughter turned two we added a husband to our family. Even though I already had a baby, I checked The Act of Marriage by Tim and Beverly LaHaye out from the church library. It was weird and a little archaic. I can’t bring myself to include a link to it. You’re welcome. I returned it to the library pretty quickly. After baby number two, serious mental health issues rose to the surface for me. In 2000, post-partum depression was not a household topic. I was suffering from it and had no idea. As I fell further in to it, I developed an eating disorder. Anyone who has ever battled through this will tell you that it consumes you. It consumes your mind. All I thought about was food, avoiding food, calories, expelling calories, exercise and being as thin as paper. And all I read about revolved around the same topics. Marya Hornbacher’s Wasted was my guide on how to be a “better” anorexic. I read Slim-to-None: A Journey Through the Wasteland of Anorexia Treatment” by Jennifer Henricks with the goal of knowing how to avoid becoming too sick and therefore obvious to other people in order to evade being forced into treatment or ending up with serious health consequences. I was trying to discover how to win the prize but skirt the consequences. I failed on both counts. Harry Potter and the Deathly Hallows was released two weeks before I gave birth to my third child. It accompanied me to the hospital and throughout labour. Over the next two days in the hospital I may have bonded more with Harry and Hermione than my son. Once my son is old enough to read the series (if he isn’t illiterate because of lazy summers), he’ll forgive me. As I emerged from the cloud of mental health issues I began longing for purpose and meaning to my life. I started attending church again and reading my Bible. 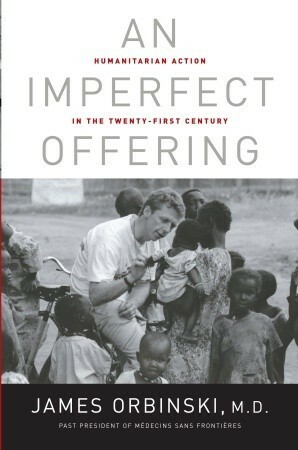 To this day I have no clue why I picked up An Imperfect Offering by Dr. James Orbinski. The world of healthcare and medicine had never been of interest to me and I purchased the hardcover copy at Chapters with no idea of what I was getting into. Orbinski was at one time the President of Doctors Without Borders and his stories opened up the world of humanitarian aid in developing countries and areas affected by war for me. In other words, he brought global reality crashing into my little white Canadian girl world. There is a scene where Dr. Orbinski befriends a child along a fence in a war torn country and shortly afterwards, with Orbinski still in earshot, the child is killed by gunfire. The story was told so matter-of-factly. The callousness stuck with me. How much had this man seen to bring him to a place where he accepted the incident as part of inevitable, everyday life? 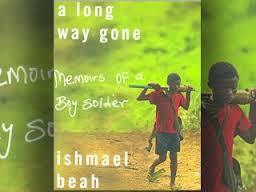 A light hearted follow up (insert sarcasm) to Orbinski’s book was Ishmael Beah’s A Long Way Gone: Memoirs of a Boy Soldier. His account of war and death in Sierra Leonne, childhood innocence ripped from little hands and being forced to murder and pillage brought me to my knees and challenged my values and beliefs like never before. As I continued with the story, the shock of the depth of violence and inhumanity transformed to anger and then conviction. I asked Jesus why he would let such atrocities occur in the world and why he wasn’t doing anything to stop it. He reminded me that he works through people and that it’s our job to be doing something about it. That I am part of a global family and I knew then that I could no longer do nothing about it. This time I knew what I was getting into when I chose Crazy Love by Francis Chan. He challenged me to live out what I say I believe. That life is about people not stuff and loving and serving God and others was the sum of my calling and any else that claims to follow Jesus. Somewhere in the middle of my entire existence being questioned, three friends and I started a book club. I first picked up a copy of Twilight at my grandmother’s house. Yes, my 85 year-old grandmother. I read the back cover and thought it sounded strange. My grandmother was of the same opinion and never finished the book. Somehow it ended up in my hands a few weeks later and I read the entire book in one very late night. Two weeks after that I was pleading with members of my book club to read it. “My choice for next month’s book is Twilight. It’s a love story between a vampire and a human. Stop looking at me like that – talk to me after Bella and Edward have mushroom ravioli.” They thanked me later. The Time Traveler’s Wife – love endures and time travel books can be appealing. I had to actually write out a timeline to understand how it all worked, but in the end, it stuck. Life of Pi – stunning ending. The Kite Runner – beautiful, entwined story-telling. 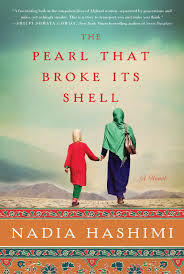 The Pearl That Broke Its Shell – living life as a girl in some countries is a completely different experience than life in North America. I could go on. I am so thankful for books and the people that write them. Books can serve so many different purposes in life. This is just my library. What’s in yours?